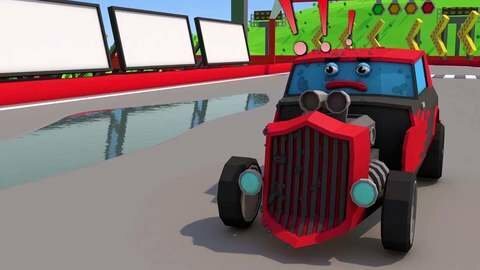 In this episode of 3D cartoon for kids Race Car provokes Black Car. Racer hits Black Car and pours water over it, in order to make the car angry and accept the race challenge. Who will be the winner in this race?